Actress and director Angelina Jolie is not known as a praying woman. Recently, due to a severe storm she, as director, was in danger of failing to complete the final scene of the inspiring film, Unbroken. With no relief in sight, it is reported that Angelina suddenly dropped to her knees in front of the entire crew and prayed for God’s help. Within moments the rain ceased, the clouds parted and the sun shown through providing the needed light for the cameras. Her prayer brought a divine and miraculous result. 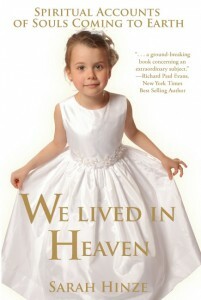 I share this story because I had a similar experience when filming a TV show about We Lived in Heaven a few years ago. A television producer from the show Angels and Miracles called and arranged to send a crew to interview me. The director hired a local camera crew and was scheduled to arrive at 10:00 am on a Sunday morning. I was up early, getting ready when I walked into the foyer by the front door. I stopped short. There was a baby dove on the entry table sitting calmly beneath a large painting of Christ. How? I looked around. The front door was still locked tight from the night before. Morning doves, friendly, cooing little gray and white birds, are daily visitors to our front lawn, but how did this little creature get inside? Carefully I picked up the tiny bird and stood quietly, completely bewildered. The bird was totally calm. Holding it seemed to bring peace to my anxious heart. It looked up at me with its tiny little eyes as if it were bringing me a message. Through this tiny creature, I felt the blessings of God would be with me as I worked on the day’s filming. Although I am always grateful to share my message, I typically have a bit of anxiety before filming. I looked at the baby bird, this tiny creation of God, and allowed its calm energy to fill my heart. I finally walked out my front door and held the bird up to the branch of a tree. It hopped on and I whispered Can you go find your mommy? The little bird took off like a shot to the very top of a grandfather pine tree in our side yard. At 10:00 am, the doorbell rang and I invited the director, the camera crew, and their miles and miles of electrical cords into my house. Everything that goes with sound, lighting and filming was promptly set up in my living room and I was invited to sit on a chair in front of the camera. Please introduce yourself. State your full name and then spell it , the director requested. I was familiar with this routine. My name is Sarah Hinze. Suddenly, POP, POP, POP! Every light in the room shut off. What’s going on? the director asked. The sound is down, too, the guy behind the camera said. And my camera isn’t working. They looked into the next room where the lights were still on. This had happened to me before, so I was pretty sure I knew what was going on. I said, I think I have an idea what has happened. There is energy with this work that sometimes affects electrical equipment. I said no more, but could feel the force of heaven present. This has never happened, the director said. What should we do? I’ll pray. Will you join me? I offered. When I didn’t hear any objections, I proceeded to ask God to help the equipment work and for all of those involved in any way to feel the love that was here with us as the angel children were present. I asked that the electricity be restored so we could conduct the interview. Within a minute or so of praying, everything came back on. The crew was subdued and experienced greater feelings of reverence than normal. 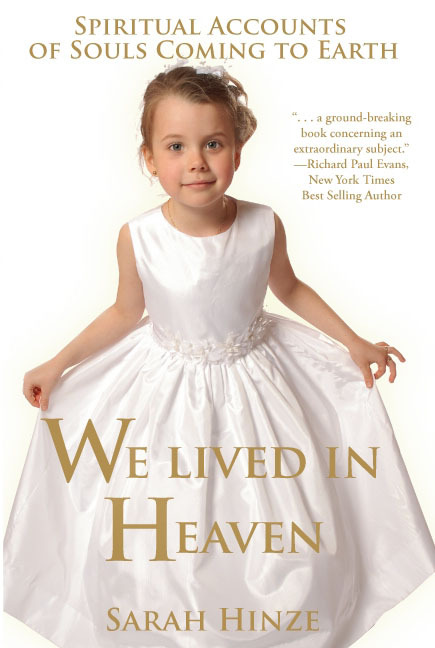 As they finished I thanked them and gave each one a copy of We Lived in Heaven. A few weeks later one of the camera crew from that show called, I am reading your book and I am so amazed at the message. Am I really a child of God? This simple message was a new idea to this man. I reassured him, Yes, you are absolutely a child of God, sent to this earth with a mission to love and serve your fellowman. What a different world it would be if everyone had the correct concept of who they are–a child of God. We are grateful for the Gospel of Jesus Christ that teaches us our true destiny. We are here to be peacemakers and make the world a better place–to share the life and life of Jesus Christ with all who will listen.